G Hannelius is an American actress, singer and entrepreneur. Let’s take a look at her family, personal life, career, and some fun facts. Genevieve Hannelius, better known as G Hannelius, is a young American actress, singer and entrepreneur. She rose to fame on the sets of ‘Dog with a Blog’ as Avery Jennings and soon became a popular face on Disney. Hannelius always wanted to be a part of the entertainment industry since childhood and at eight she began performing in local theatres. 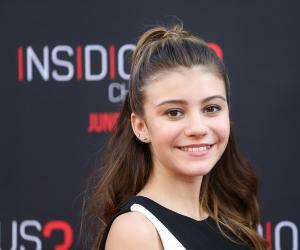 On discovering their daughter’s talent, Hannelius’s parents moved to Los Angeles. She began her career by starring in national commercials and gradually set foot into television. She made her television debut in 2009 after securing a main role in the TV series ‘Surviving Suburbia’ as Courtney Patterson. She has acted in several guest and lead roles since 2009 and has played a voice actor in the film series ‘Spooky Buddies’, ‘Treasure Buddies’ and ‘Super Buddies’. She is also known for her recurring performances in ‘Sonny with a Chance’ and ‘Good Luck Charlie’. As a singer, she has released several singles on ‘iTunes’ with her first being ‘Staying Up All Night’. She even sang ‘Friends Do’ for the TV series ‘Dog with a Blog’. She has launched her own nail art app called ‘Make Me Nails’ with Lauren Jones. Genevieve Knight Hannelius was born on 22nd December 1998 in Boston, Massachusetts to Kathy and Paul Hannelius. She is of half Swedish descent and lived in Boston until she was three. She has a younger sister named Michelle. She moved with her parents to Falmouth, Maine after three and spent most of her childood there. She loved performing at school and local events from an early age. With immense talent as a performer, she took to theatre quite naturally. During her early acting years she was handed the role of Madeline in the play ‘Madeline’s Rescue’ and also played Jenny in ‘Tales of a Fourth Grade Nothing’. Her parents encouraged her to participate in local plays and attended all of them to cheer her on. Realising that their daughter had great potential as an actress, they took her to Los Angeles to meet an agent. Her family decided to settle down there to help Hannelius pursue her career with ease. In 2008, they moved to Los Angeles permanently. However, that year America was hit with recession and the industry wasn’t doing too well. She still managed to get offers and for the first time starred on national television in a ‘Aquarium of the Pacific’ advertisement. She began her TV career in 2009 after she was offered the main role of Courtney Patterson in ABC’s sitcom ‘Surviving Suburbia’. On the sets she worked with seasoned TV stars like Bob Saget and Cynthia Stevenson. The show ran for 13 episodes spanning one season until it was cancelled due to low ratings. In 2009, she did a couple of guest roles in ‘Hannah Montana’ as Tiffany and in ‘Rita Rocks’ as Brianna Boone and got noticed by Disney. In 2009, she signed a contract with Disney for three years and was introduced as a recurring character in several of their hit shows. First, she landed the role of Dakota Condor on the Disney sitcom ‘Sonny with a Chance’. In the series, she was cast in the fist and second season with her role spanning six episodes. In 2010, she played the main role of Emily Pearson in the Disney movie ‘Den Brother’ alongside Hutch Dano. It aired on 13th of August and gathered 4.3 million viewers. The year 2010 saw Hannelius star in a recurring role as Jo Keener in Disney’s popular coming of age sitcom ‘Good Luck Charlie’, in which her character showed up in four episodes. She was even cast as Janie in the Hollywood adventure-fantasy film ‘The Search for Santa Paws’. In 2011, she was seen in the TV show ‘I’m in the Band’ as Ms. Dempsey and in ‘Love Bites’ as Maddy Tinnelli. That year she starred in the non-television pilot of ‘Madison High’ and voiced the character Rosebud in the animated film ‘Spooky Buddies’. In 2012, she landed the lead role in Disney’s sitcom ‘Dog with a Blog’ and the show aired on Disney Channel on 12th October, 2012. She played the higly intelligent Avery Jennings and the step sister of Chloe and Tyler Michael in the series. The show ran for three seasons covering 69 episodes in which Hannelius sang the song ‘Friends Do’ that unveiled her talent as a singer to the audience. During ‘Dog with a Blog’ she did appear in the Disney series ‘Jessie’ in a guest role as Mackenzie in the episode ‘Creepy Connie 3: The Creepening’. By now, she became popular as a voice actor and played guest roles in a handful of television shows, like Amanda in ‘Fish Hooks’, Lady Joy in ‘Sofia the first’ and Little Bits in ‘Wander Over Yonder’. 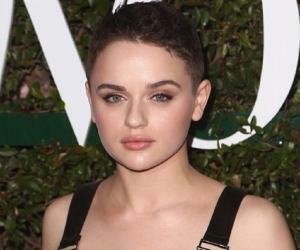 She was cast in the direct-to-DVD film as a voice actor and repeated her role as Rosebud in the 2012 and 2013 movies ‘Treasure Buddies’ and ‘Super Buddies’ respectively. The show ‘Dog with a Blog’ ended its run in 2015 with the last episode airing on 25th September. The following year, she guest starred in the Televison miniseries ‘Roots’ as Missy Waller in the episode ‘Part 2’. She has a ‘YouTube’ channel called ‘GbyGNailArt’ that she launched in 2011. However, it began amassing viewership only after she began regularly uploading nail art videos in 2013. In order to take her nail art creativity to a whole new level, she partnered with Watson Creative and MINX Nails in 2014 and founded her own company and brand called ‘Make Me Nails’. On her channel she has videos demonstrating how to apply the product and released a mobile application for the same. She partnered with the digital marketer, Lauren Jones for the promotion of her mobile app. Hannelius has uploaded almost 10 singles to ‘iTunes’ with songs such as ‘Moonlight’, ‘Stay Away’, ‘4:45’ and ‘Lighthouse’ acquiring multiple downloads. Her breakthrough performance was certainly her debut role in the sitcom ‘Surviving Suburbia’. The show began with a promising rating ranging on a scale of 6 to 7 out of 10 and a viewership of 12 million before the rating began to dip at the end of the first season. She travelled to Salt Lake City, Utah to shoot her first TV film ‘Den Brother’ in which she played a main role as the little sister of the lead actor Hutch Dano. The film harnessed great success with the young charaters receiving critical acclaim for their performances. ‘Dog with a Blog’ is one of her most successful endeavours as an actor. The series in which she plays the lead was reviewed by ‘Variety’ as being enjoyable for “young kids hearing Stan express dog-like thoughts” and was praised by ‘Common Sense Media’ for having “heartwarming messages about families’. ‘Dog with a Blog’ has been nominated three years in a row at the prestigious ‘Emmy Awards’ from 2014 to 2016 in the category of ‘Outstanding Children’s Program’. It also received a ‘Kid’s Choice Award’ nomination for ‘Favorite TV Show’ in 2015 and 2016. In 2015, Hannelius posted a picture on ‘Instagram’ with her boyfriend, Jack Chiate. 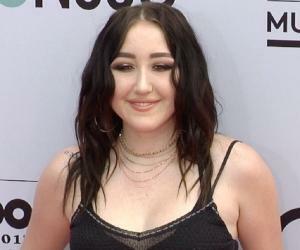 She and Jack are still dating and he was recently spotted in a prom picture with Ronni Hawk, Kayla Maisonet and Alexa Sutherland along with Hannelius. Apart from acting and singing, she is a pianist. She has learnt horse-riding, fencing, acrobatics, ballet and is an animal lover. She has a dog named Shumai, a cat called Sammy and a hamster named Minnie. Hannelius is an active volunteer at ‘A Window Between World’s’ which aims to promote art and fights domestic violence.